Michael Altman is a professional member of the American Herbalists Guild and Certified Nutritionist. He operates a local practice, Seattle Cancer Care Alternatives and helps people with a variety of health concerns, not limited to cancer. Michael runs his own dispensary supplying a wide range of his clinical formulas and unique branded products for clients. He facilitates an Herbal Practitioner Buyers Club for promoting a direct product to practitioner to patient supply chain. Michael believes strongly that people can reclaim their health with diet, lifestyle changes, and herbs once provided with the information and assistance needed. Michael has taught health, nutrition, and environment courses at Southern Oregon University since 2005. Nikol Angel is an Earth Mama, Medicine Woman. She is a Plant Mystic, Soul Doctor who weaves the ancient wisdoms of Chinese Medicine and Intuitive Shamanic healings. Her Sacred Element sessions are a dynamic fusion of botanical aroma - therapeutics, acupuncture, and intuitive, energetic bodywork. She is founder of Good Medicine Tea and the director of the Good Medicine Center for Healing Arts in Hood River, Oregon. Kristy Bredin began her journey as an herbalist in 2009, when she began a two-year apprenticeship with herbalist Robin Rose Bennett in New York. For the past 7 years she has worked with Ryan Drum, wildcrafting medicinal herbs and cultivating an in-depth knowledge of traditional Western herbalism and local plants and seaweeds. From 2013–15 she ran a small business specializing in plant remedies of the Pacific Northwest, Mermaid Botanicals. Kristy practices as an herbalist on Orcas Island, WA, working with clients to support their physical, mental and emotional well being through nourishing foods, herbs, and lifestyle choices. She has studied clinical herbalism with Chanchal Cabrera, Paul Bergner, Matthew Wood, and Margi Flint. Kristy is passionate about exploring the natural world and working with wild plants in ancient and creative ways. In 2017 she founded an Herbal Medicine Apprenticeship Program on Orcas: an immersive exploration of wild foods, seaweeds, and plant medicines of the San Juan Islands, featuring classes and retreats with Ryan Drum. This course is part of 3-year cycle through which participants gain a well-rounded knowledge in identifying, harvesting, and processing native and naturalized plants for food and medicine; sustainable wildcrafting; the role of medicinal plants in our ecosystem; invasive plant medicine; wild plants as nutritional support and medicine for mind, body, and spirit; seaweed harvesting and uses as food and medicine; and the tradition, culture, and lore surrounding plants that grow in our region. The Apprenticeship is a unique field-based opportunity for local and regional students to explore the world of plants through sensory awareness, to make medicine and share wisdom in community, and to change the world through the healing power of plants. Trevor Clark began his herbal journey after spending four years bedridden with debilitating pain from fibromyalgia and neuropathy proceeding a spinal fusion. Unsure of where to turn next, he began reading ethnobotany reports and found health and healing through herbs. This sparked his desire to expand his knowledge about herbs, starting with training as an herbalist at Bastyr University where he earned his BS in Herbal Science in 2011. While a student, Trevor followed an ethnobotanical lead from an herbalist in Alabama to discover the presence of the medicinally significant alkaloid reserpine, in the vine Bignonia capreolata. Trevor has continued his research in botanical medicine through a wide range of projects that include a National Center for Complementary and Integrative Health (NCCIH) at the National Institutes of Health (NIH) funded study on integrative oncology translational outcomes, DEA and FDA-licensed ayahuasca research, a medicinal plant cataloging canoe trip on the Alabama Scenic River Trail, and botanical heritage preservation efforts in Brazil. He has worked for numerous start-up companies as a botanical supplement formulator and has helped several reach FDA compliance. Trevor has seen clients as an herbalist since 2012 and is adjunct faculty for the Department of Botanical Medicine at Bastyr University. Emma is a folk herbalist, educator, and devotee of the natural world in all its power and grace. She currently teaches a number of classes in Seattle that focus on her passions, which include bioregional herbalism, ethical wild-crafting, the art of medicine making, ways to cultivate intimate relationship with the green world, psychic development, personal empowerment through reconnection with authentic ancestral teachings, and the rich world of folklore and plant magic. Ryan Drum, PhD has a BSc in Chemical Technology and a PhD in Botany (Phycology) from Iowa State University. While a NATO Scholar, he did postdoctoral studies on Cell Biology using the Electron Microscope and Microcine at the Universities of Bonn, Germany and Leeds, England. For 10 years he taught Botany and related subjects at Universities (UMASS/Amherst, UCLA, WWU). He studied Herbal Medicine with Ella Birzneck, founder of Dominion Herbal College in British Columbia for 12 years, and taught at their summer seminars for 35 years. He has been an adjunct faculty at Bastyr University since 1984, and he lectures at major herbal conferences and herbal schools. Dr. Drum is the author of over 30 scientific papers in peer-reviewed journals, the author of Electron Microscopy of Diatom Cells 1966, Springer Verlag, a 100-Plate Atlas, in print for 20 years, and a contributing author of two chapters in Planting the Future (Gladstar and Hirsch 2001) and a chapter in Fundamentals of Naturopathic Endocrinology, M. Friedman 2005. The proud father of three wonderful children and two fantastic grandchildren, he lives in a rustic little hilltop cabin he built over 40 years ago on a remote island, off the grid, without indoor plumbing or refrigeration. Ryan believes in true patient autonomy: the freedom and right to choose one's caregivers independent of their official certification. 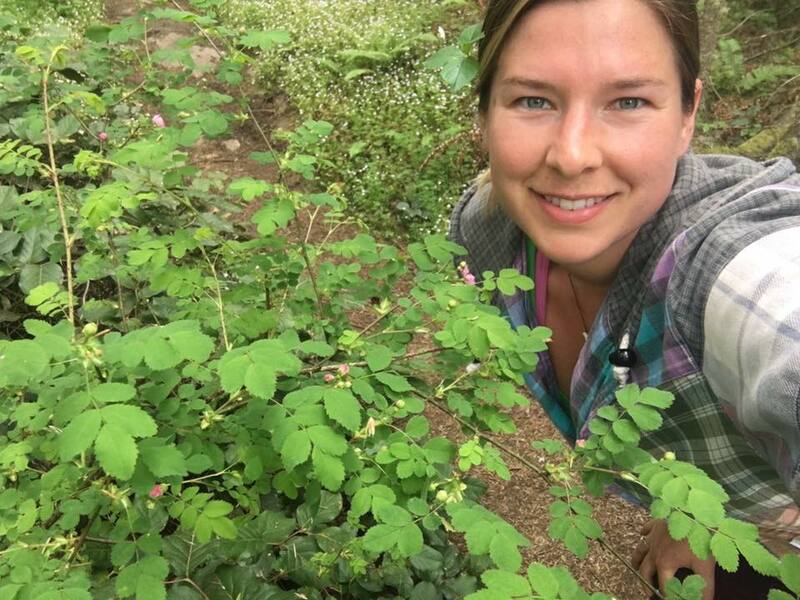 Natalie runs the Adiantum School of Plant Medicine, a local herb school in Seattle, where she teaches classes on plant ID, medicine making, and holistic herbalism. She has spent several years acquiring and synthesizing knowledge about Western Herbalism, PNW Materia Medica, nutrition, and Chinese Medicine. She is particularly passionate about traditional assessment techniques, the effects of emotions on the physical body, and holistic models of understanding imbalance. She also loves to forage and grow medicinal plants of all kinds, because cultivating a direct relationship with the living plant is not only educational but very healing. All in all, she is an empiricist at heart who loves experimentation and exploration into the possibilities of nourishing and strengthening our bodies and souls. Diana Lynn Law is a Pacific NW herbalist and artist who loves learning about plants and Nature and teaching it to others. She loves tending growing things, creativity and Science. Her classes are a combination of Folk Herbalism, Traditional Chinese Medicine, Ayurveda and science-based study. Nature’s remedies are the peoples medicines. Empowering people to build their own relationships with plants and create their own well-being are integral parts of her classes. Nature is wholistic and so is her approach to teaching; incorporating remedies, creativity and exploration of traditional as well as science-based information; both have their merits. Glen Nagel, ND, RH (AHG) is a Naturopathic physician, herbalist, educator and herbal wise guy. He lives in Portland, Oregon. He believes in having fun with plants by drinking and eating them and putting them all over his body. Michelle Mahler lives in Snohomish County , Wa. She created Circle of Healing Essential Oils and offers classes, products, intuitive blends & creates intuitive healing remedies with organic essential oils that work on all levels of your being- mental, spiritual, emotional and physical. She intuitively chooses which oils are energetically suited to you or your loved ones. These essential oil blends will help you maintain a clean and balanced energy field, relieve pain and breathing issues, headaches/migraines, insomnia, prepare for and find love, aid in grief and life changes and elevate spiritual awareness. Have a personal consultation to assist you on your path to fulfilling your soul-purpose with Michelle's custom aromatherapy blends. Joyce is a healer, herbalist and gardener who loves roses and lives and works at Fire Rose Farm, a small inspired magical place where she teaches classes and apprenticeships and grows glorious plants. She has maintained a private practice for almost 35 years and is committed to the study and practice of the spirit of life, seen and unseen, through the path of the shaman and spirit of Nature. She is a devoted medicine maker who keeps an extensive apothecary that includes a beautiful and potent line of flower essences. Joyce practices creative expression through the spirit and art of plant medicine, the written word, and the secret garden… and she loves to take pictures. Kelly Ann Nickerson is a plant enthusiast who grew up in the woodlands of Anacortes, WA. Kelly is passionate about sharing the wonders of the plant world with those around her. Kelly has her BS in Herbal Science and MS in Horticulture. Missy Rohs is a co-founder and instructor at the Arctos School of Herbal and Botanical Studies in Portland, Oregon. She approaches herbalism with an eye to personal empowerment, community-building, and practical engagement with healing herbs. Her relationship to plants is guided by a strong conservation ethic and a deep love of Cascadia’s ecosystems. She grows and wildcrafts her own medicine with a focus on sustainable herbal remedies: those that grow easily in populated habitats, and those that can be harvested in the wild with minimal impact. Missy’s path to herbalism began with labor solidarity, community organizing, and police accountability advocacy. She sees her herbal practice and teaching as another facet of working for social and environmental justice. http://arctosschool.org. We utilize the cauldron of people's experiences. We breathe together and come alive. We recognize where we are not yet alive, or where something is dying away in us. We align with our desire for change. The moment changes. This is the template of our group work. Nessa and Joe have both studied as Apprentices to The Hero's Journey Foundation.We couple this with our understanding if subtle energy from Classical Chinese Medicine, Herbal Lore, and Brennan Healing Science. We add on our training as PsychoEnergeticsPractitioners to create mind body experiences in the present moment. We hold our intent to make use of the group to create transformational experiences for all. Ritual happens. Ceremony is explored. We come alive. Michael “Skeeter” Pilarski is a plant enthusiast, farmer, educator and founder/director of Friends of the Trees Society. Michael has commercially wildcrafted medicinal plants for 23 years in Washington State, north Idaho and Northwest Montana. He farms medicinal plants in complex, agroforestry systems and has expertise in seed collecting and propagation of many native and non-native species. He is the author of “Ethnobotany and Ethnoecology Resource Guide” and “Growing & Wildcrafting Medicinal Plants in the Pacific Northwest”. Jason Scott is a Mycologist, Ethnobotanist and Spagyricist who has studied traditional Hermetic Alchemy, from history and philosophy to practice, for the past 7 years. He has a background in Ethnobotany and Plant Medicine that started on the Big Island of Hawaii, and has carried back with him into his home: the Pacific North West. Born and raised in Oregon, Jason has an intrinsic interest in the Fungal Queendom and all of its aspects: from cultivation and mycoremediation, to historical and cultural relationships. Jason has studied various different healing modalities including Ayurveda in Nepal and Western Herbalism all over Oregon and Washington. Jason is the founder of Feral Fungi, and has contributed works to multiple publications including Radical Mycology and Verdant Gnosis. He is on an ever-deepening journey of education to understand the practical applications of his interests, and the golden threads that connect them. Anna Sitkoff is currently a student of Naturopathic Medicine at Bastyr University. Prior to beginning these studies, she was trained in the field of nutrition sciences. Above all, she is a student of nature and has an undying passion for botanical and mycological medicine. Anna is an advocate of using the medicinal and edible plants and mushrooms that grow where we grow. She has studied the local medicinal mushrooms of the Pacific Northwest intimately, and it is her desire to teach others of their strong medicine, as well as the most beneficial ways to extract and ingest this medicine. Anna is an avid researcher, and she is passionately interested in conglomerating ethnomycological uses, current research, and her own experience into her teachings. Suzanne Tabert, bioregional herbalist, is director of herbal education and herbal mentor at the Cedar Mountain Herb School. 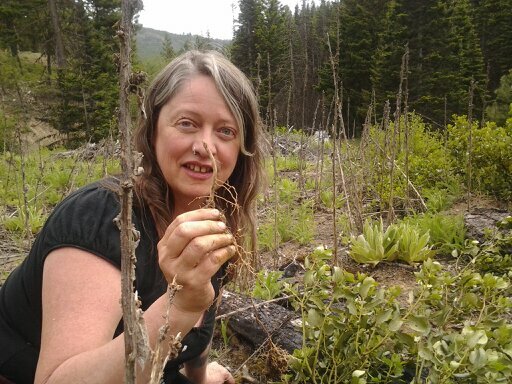 An herbal medicine instructor for 30 years, Suzanne teaches with great passion and excitement, bringing her wealth of herbal knowledge to students in an engaging and vibrant manner. She is the primary instructor at CMHS and an adjunct faculty member and practicum supervisor for students at Bastyr University. Taking students to wild places and giving them tools to engage and connect with flora, fauna, and the exquisite beauty of nature is the icing on the cake of life, and one way that Suzanne is making a difference in the world, one person, one group at a time. She is currently writing a wildcrafting book that will be able to be utilized by people of all walks of life who wish to take their health back into their own hands. 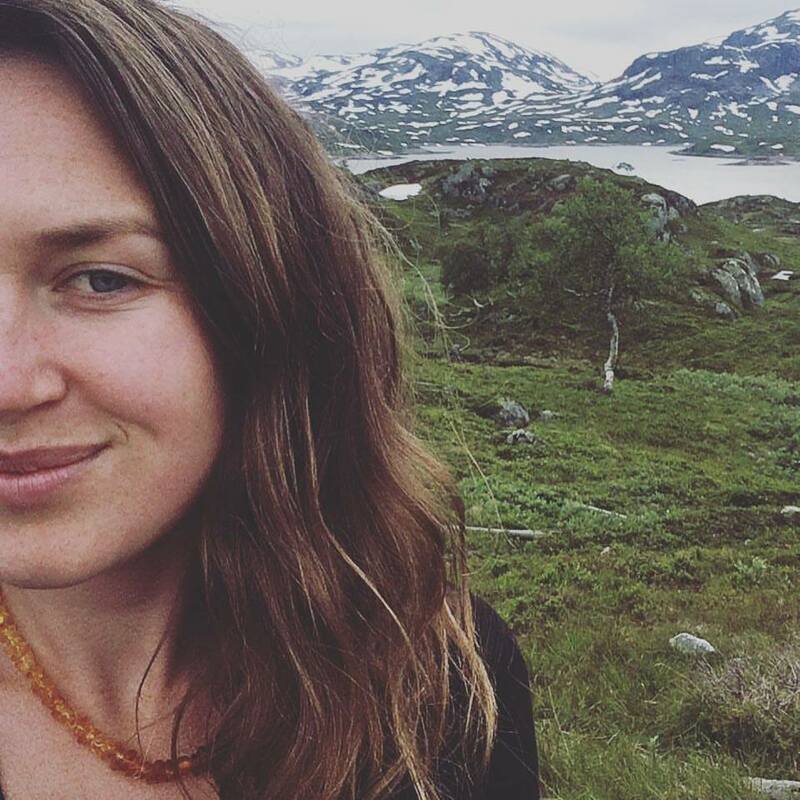 Katolen Yardley, MNIMH, RH (AHG) -Medical Herbalist is most fulfilled when travelling and exploring new lands, learning about local native plants and connecting with local medicine people. Katolen is a Medical Herbalist in Vancouver and Port Moody BC. She has been in private practice for 19 years with a specific interest in the emotional connection to wellness and dis-ease. She specialises in women&#39;s health issues, digestive and skin disorders and believes in providing usable tools for healing through inspiration and education. Katolen is adjunct faculty at Boucher Institute of Naturopathic Medicine, an instruction and clinic supervisor at Dominion Herbal College and offers educational talks at Van Dusen Garden and the UBC Sustainable Farms in Vancouver. She is the current President of the Canadian Council of Herbalist Associations (CCHA) and a third term president of the Canadian Herbalist Association of BC (CHA of BC). From 1998 to 2015, she appeared monthly on Global Television Morning News, where she offering herbal information to the public. She often appears in print, radio interviews and speaks at numerous conferences throughout North America. She is the author of the book - The Good Living Guide to Natural and Herbal Remedies (July, 2016). Visit: www.katolenyardley.com for more information.